Home » Query Store » Query Store Database Dashboard v1.3 released! 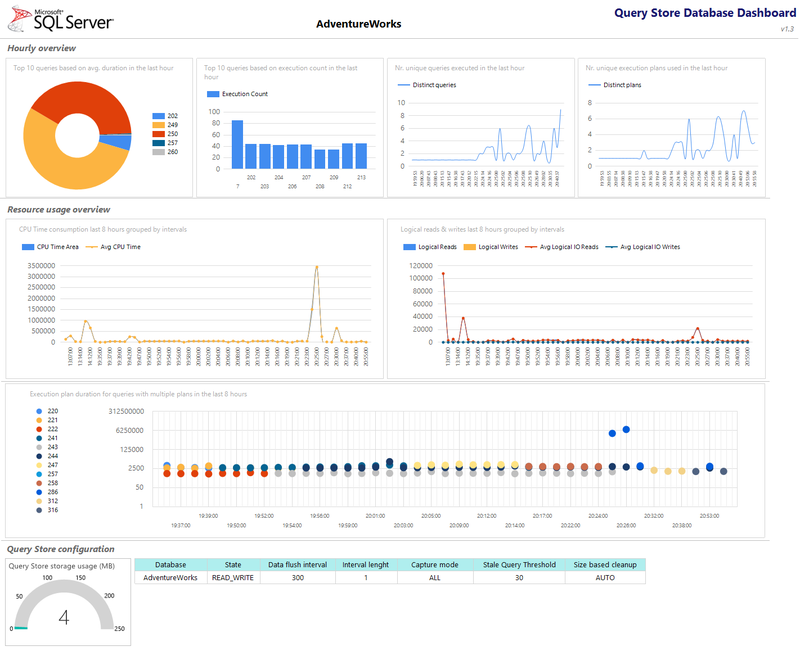 Query Store Database Dashboard v1.3 released! Next to releasing a new version of sp_WhatsupQueryStore, I just released the 1.3 version of the Query Store Database Dashboard! Forced execution plan overview removed Instead you should use sp_WhatsupQueryStore to quickly analyse forced plans by running EXEC sp_WhatsupQueryStore @dbname = ‘your database’, @return_forced_plans = 1. You can download sp_WhatsupQueryStore through GitHub at //github.com/Evdlaar/sp_WhatsupQueryStore. Added Queries with multiple plans performance chart. This chart, unlike the other ones, uses a logarithmic scale to improve readability when query duration between plans have large difference between durations. Changed date/time format on x-axis in charts to exclude the date and only show time. Modified queries to avoid potential locking situations.